Whippet keyring fob is a must have accessory for any Whippet owners. Printed with national flag of the United Kingdom. NEW for 2016. 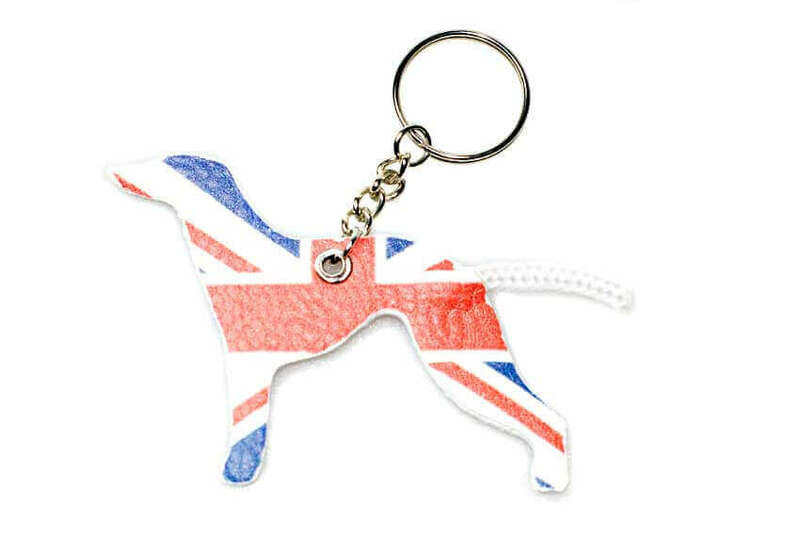 This Whippet keyring chain is an excellent watch dog to be trusted with looking after your keys and to show how patriotic you are. Alternatively, carry your Whippet every day with you by clipping it to your handbag as a bag charm. 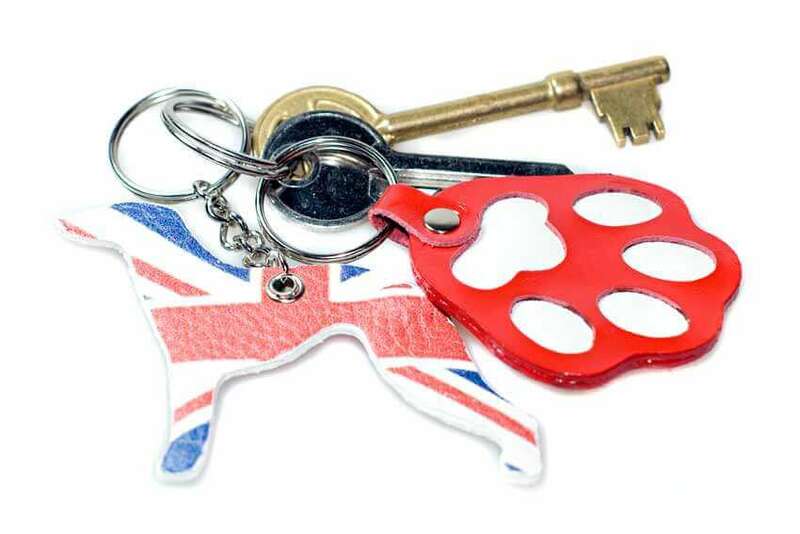 UK national flag is printed on both sides of this keychain. Therefore, dog always proudly carries the flag regardless of the side it is turned to. 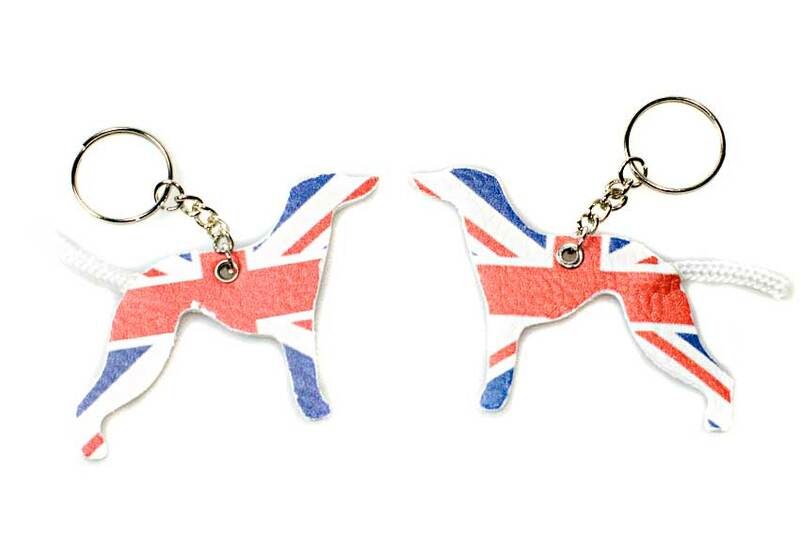 Our Whippet keyring fobs make ideal gifts for all Whippet lovers. They also come in black, fawn and silver coloured leather. Handmade, designed and made exclusively by Dog Moda in the UK. 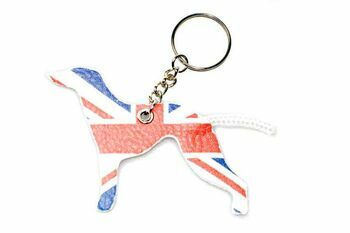 Union Jack British Whippet key ring measures: 6 x 8 cm (approx.) in size.